White Chocolate Bunny Ears: Lene Lovich. Lucky Number (1979). Lene Lovich. Lucky Number (1979). Another bit of nostalgia here from the end of the 70's. I was quite captivated with this tune when it came out, but I don't believe I ever saw the video. 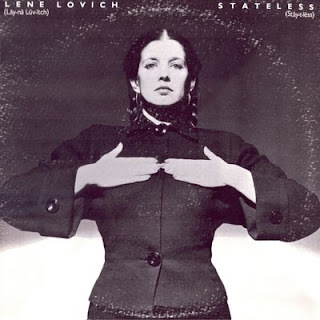 Lene Lovich is truly one kooky chick. She makes Bjork look like Nancy Reagan. The bald guitarist is Les Chappell, her longtime collaborator and life partner. My favorite line is, "There's something in the air besides the atmosphere." Saint Etienne. Fox Base Alpha (1991/2009).